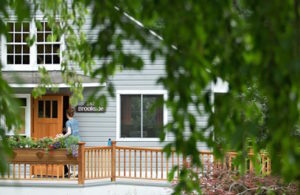 Sunbridge seeks to serve and advance the Waldorf movement not only through our teacher education programs but through our courses, workshops, conferences, and other events designed to assist Waldorf teachers and pedagogical and administrative leaders in their work and to introduce newcomers to Waldorf Education. In addition to our mainstay June and July Summer Series, offerings are presented throughout the fall, winter, and spring. Held each fall, our annual teachers conference is an opportunity for Waldorf educators from across North America to gather and address topical issues within Waldorf Education. Offered each January and July, our Waldorf Weekend workshops allow new and prospective Waldorf community members to explore Waldorf Education hands-on, while Open Days in October and February provide further opportunities to research Waldorf Education and teaching. Annual pedagogical leadership and collaborative leadership workshops scheduled across the year provide professional development opportunities for Waldorf educators and leaders working in a range of areas. Our Summer Series page, containing dates and listings of all June/July courses and workshops, is updated each January 1.